Following his impressive win over Ray Borg last weekend, Justin Scoggins has been booked to fight flyweight Ben Nguyen on March 20th. The bout will be part of UFC Fight Night 85, which will take place on Brisbane, Australia. 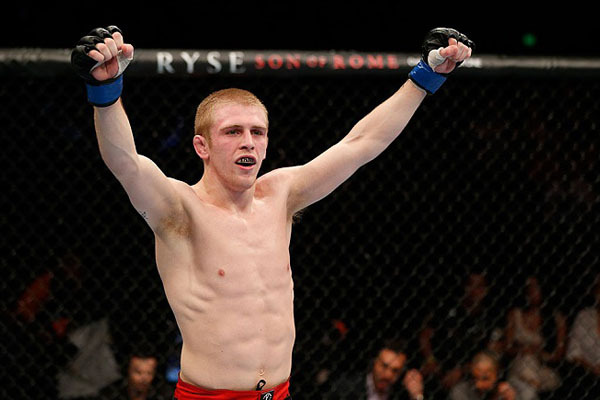 Scoggins(11-2) worked his way to a unanimous decision win over Borg at UFC Fight Night 82, and in doing so, moved his UFC record to 4-2. Nguyen (14-5) made his UFC debut in November and submitted Ryan Benoit in the opening round. The UFC has also confirmed that Leslie Smith (7-6-1) will take on bantamweight Rin Nakai (16-1-1) at the event. UFC FN 85 will be hosted by Brisbane’s Entertainment Centre and in the main event, Mark Hunt will take on Frank Mir.